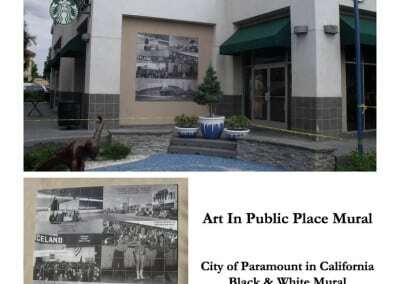 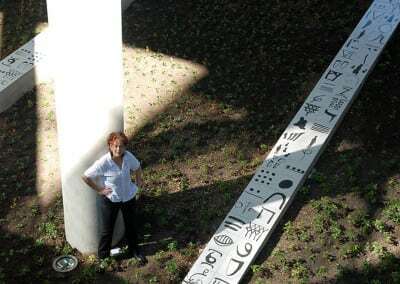 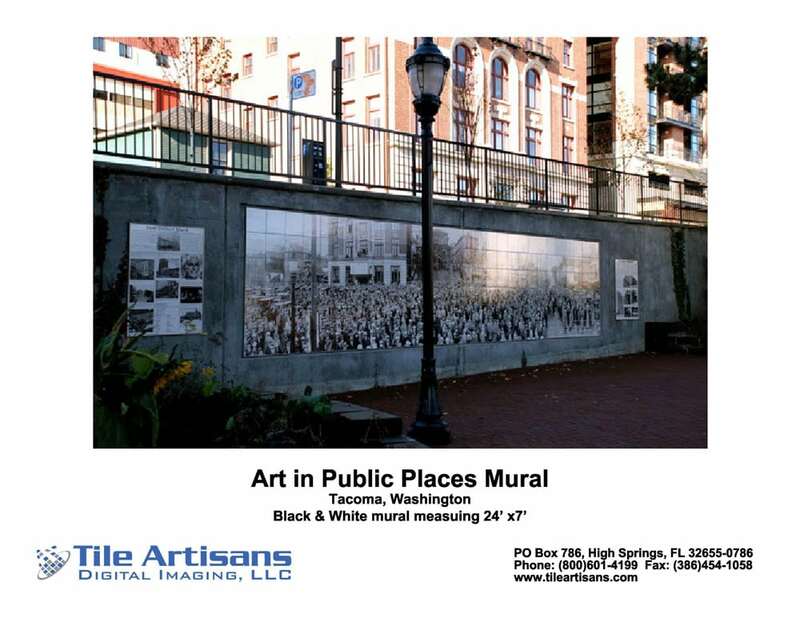 What is Art in Public Places? 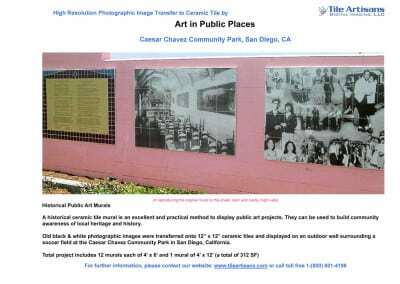 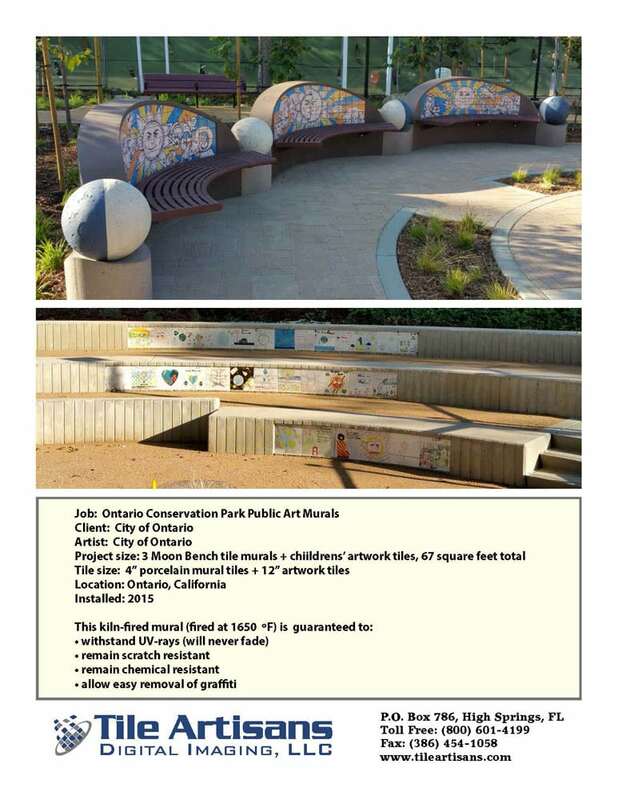 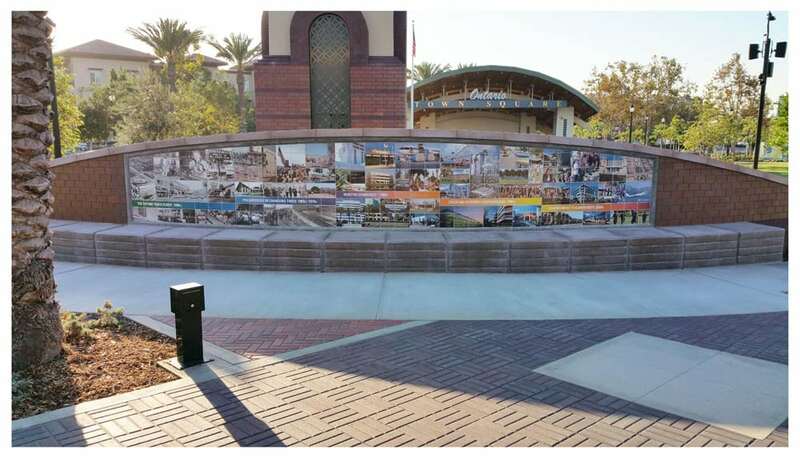 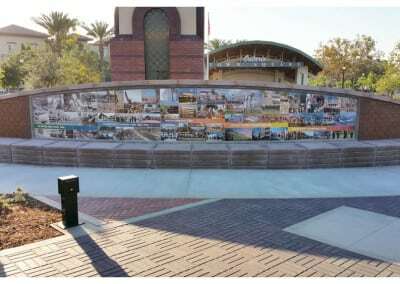 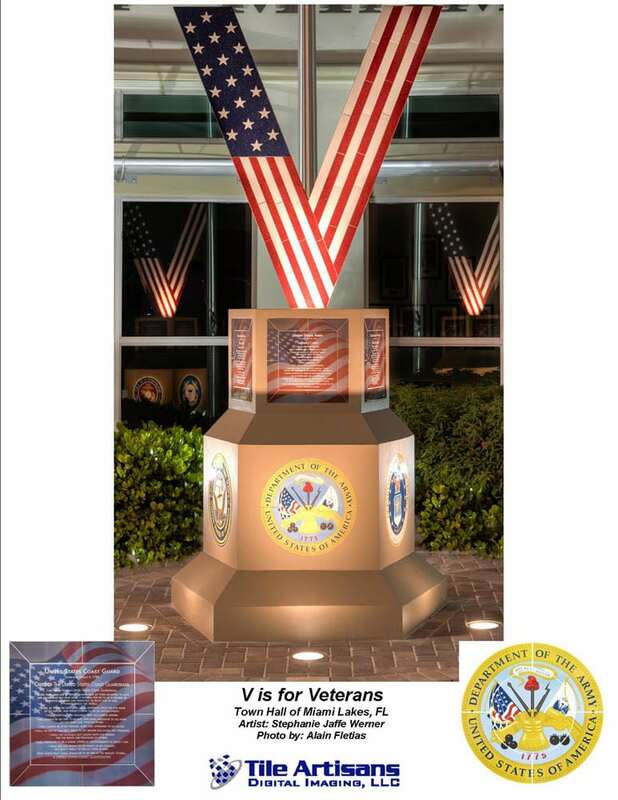 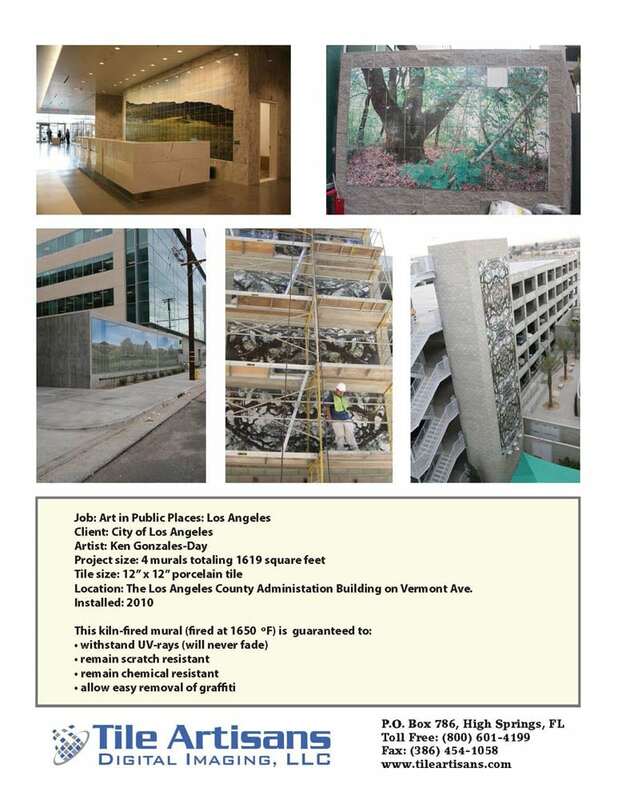 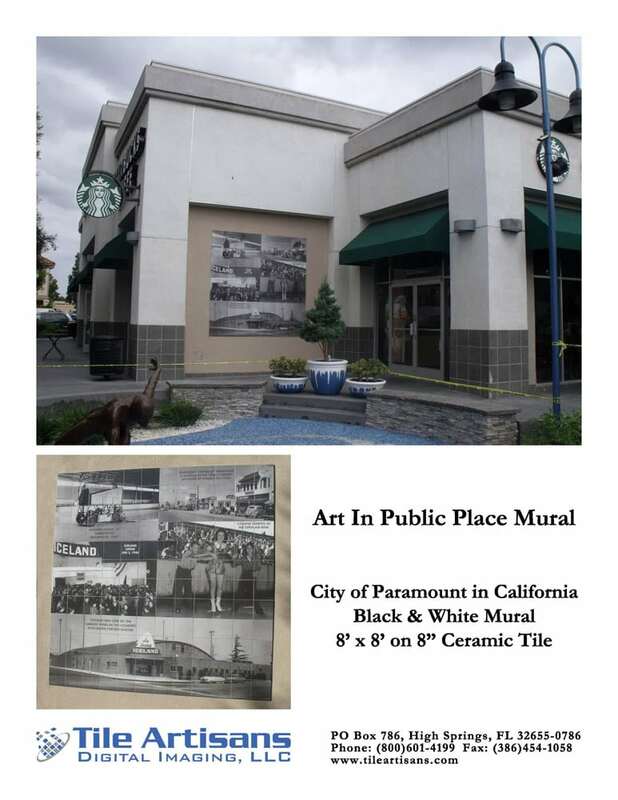 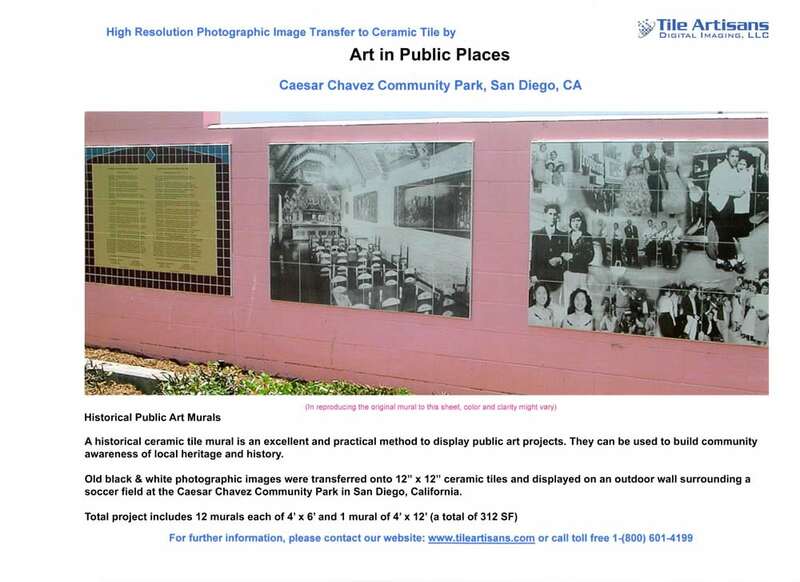 Art in public places are large public, community or commercial displays of spectacular tile art, art murals, historic memorials, photo-murals or custom to graphic designs for commemorative events. 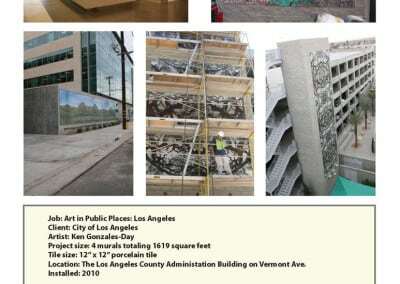 Commissioned artists are normally hired to create these works of art. 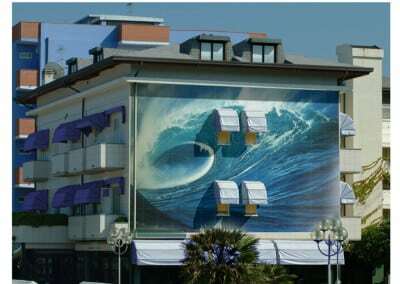 Where is this Style Art Found? 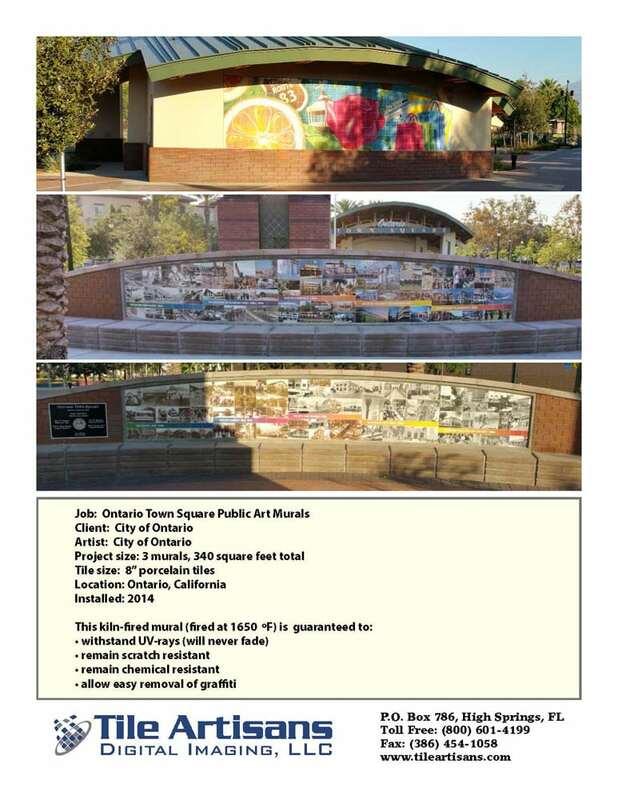 The works of art are found on walls, monuments, buildings, bridges, stand alone structures, stadiums, parks or any public space available to showcase these spectacular works of art for everyone to enjoy. 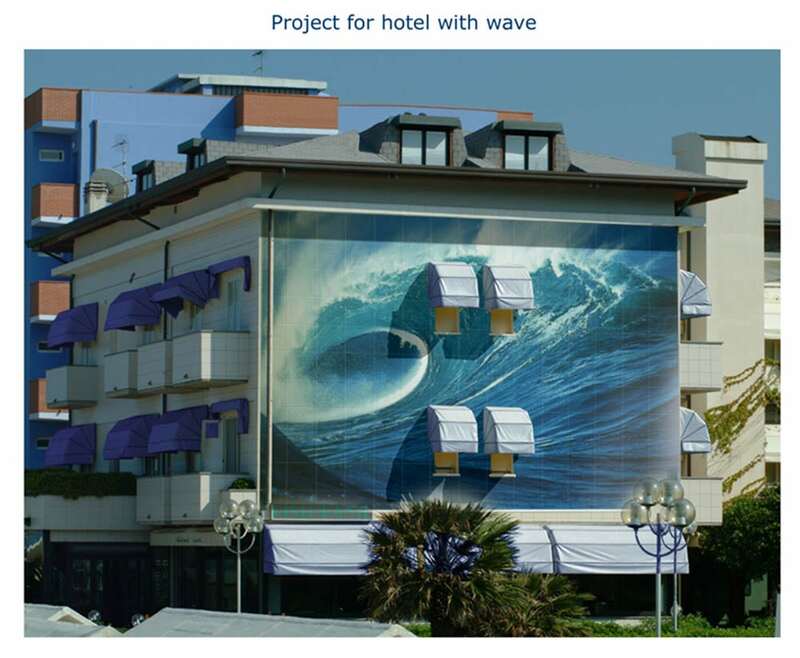 They can be installed outdoors, indoors, in the ground, on the wall and even as pool tiles under water. 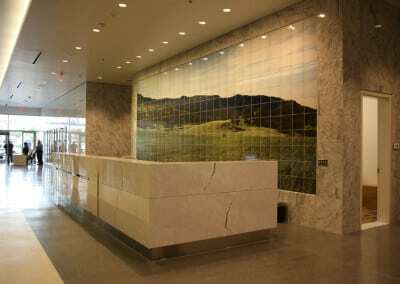 Why Choose Custom Ceramic Tile Murals for Displaying Art? 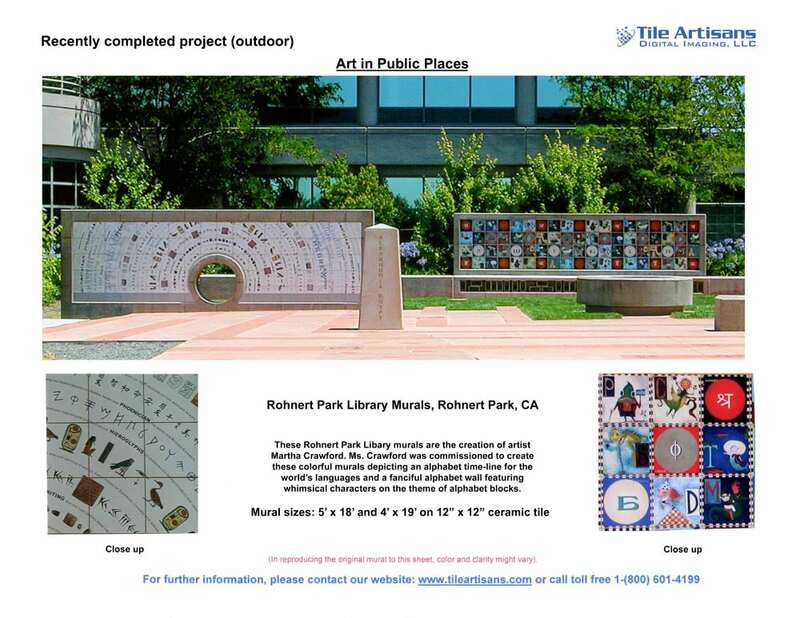 Our unique style of ceramic tile artwork creation has made art in public places our specialty. 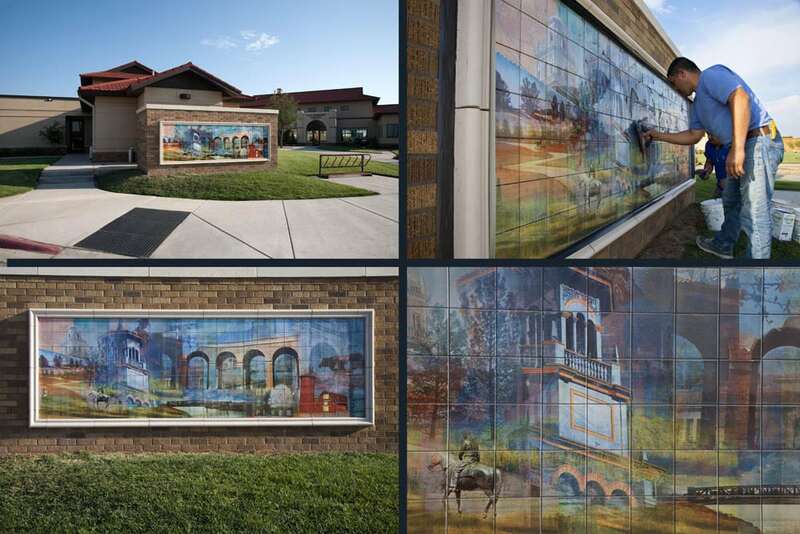 We work with artists, designers, and architects throughout North America to reproduce beautiful works of art as durable, UV resistant kiln-fired tile murals. 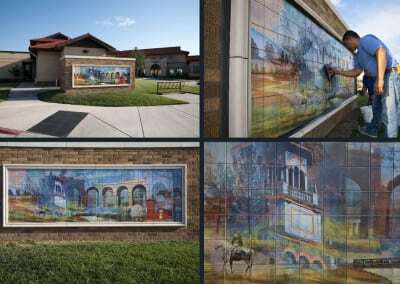 If you are involved with a community art project and you would like to have a durable, long lasting medium for your project, we suggest you consider kiln-fired ceramic tile murals. 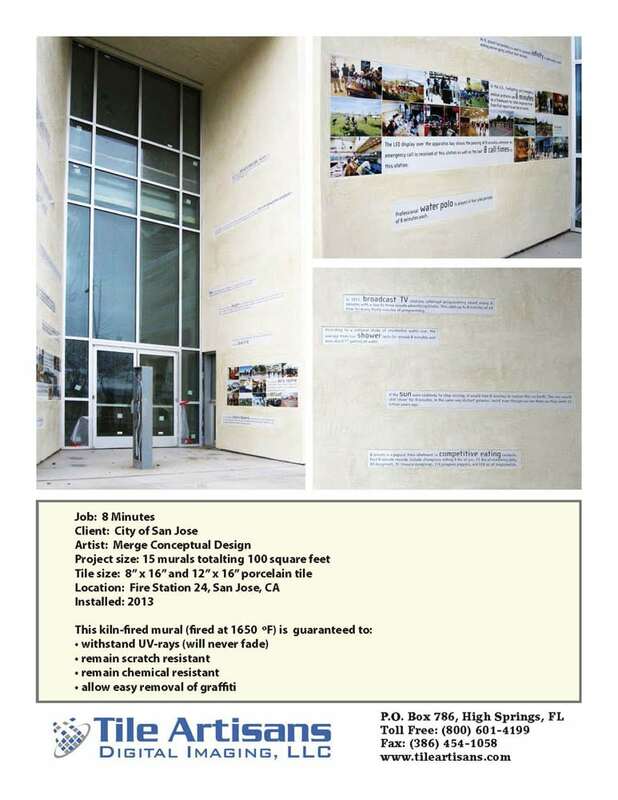 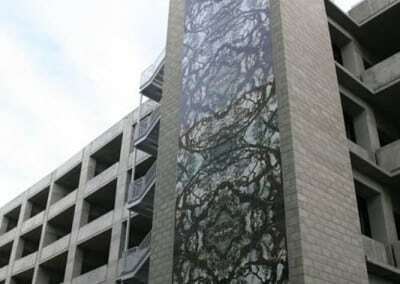 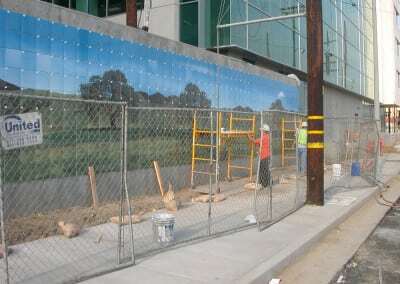 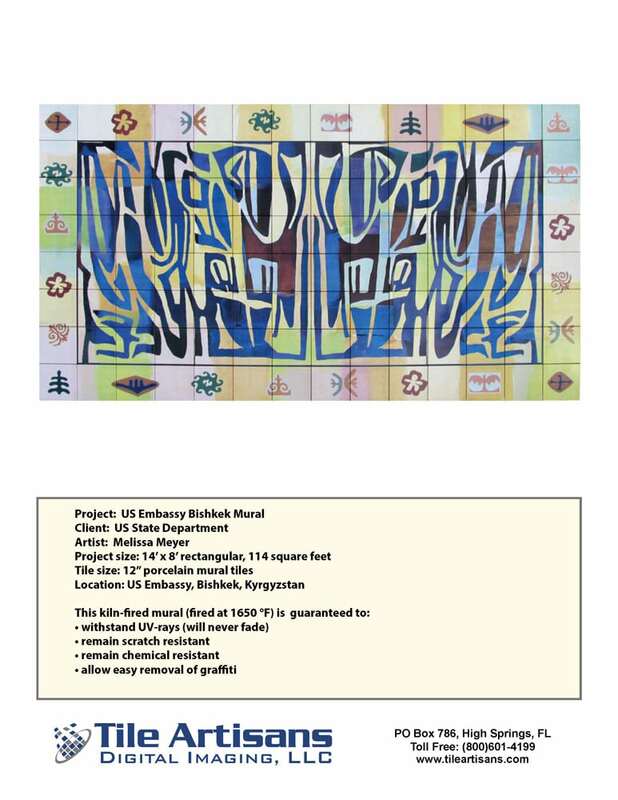 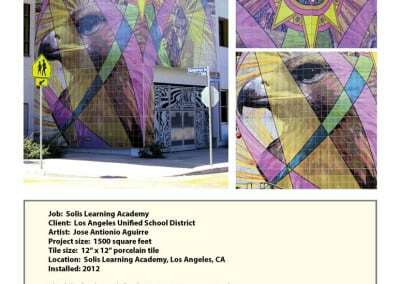 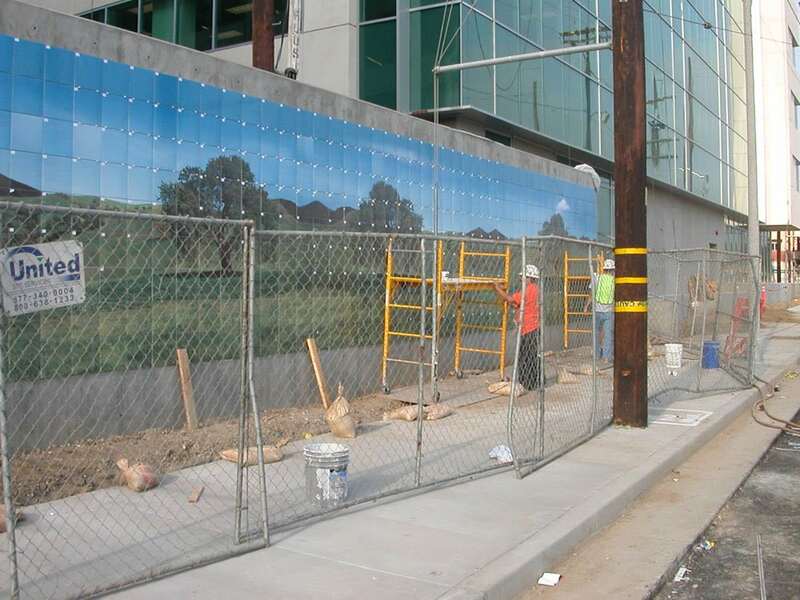 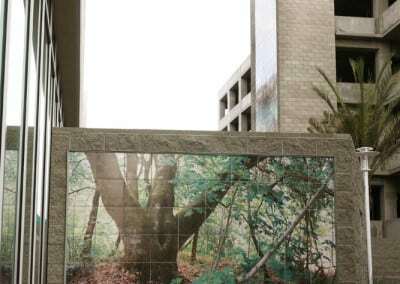 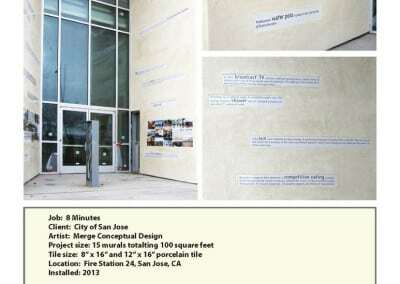 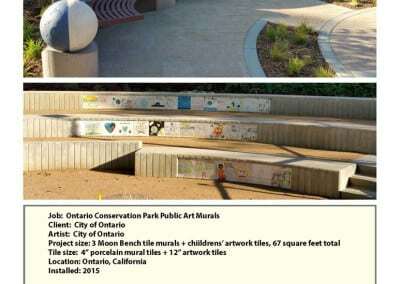 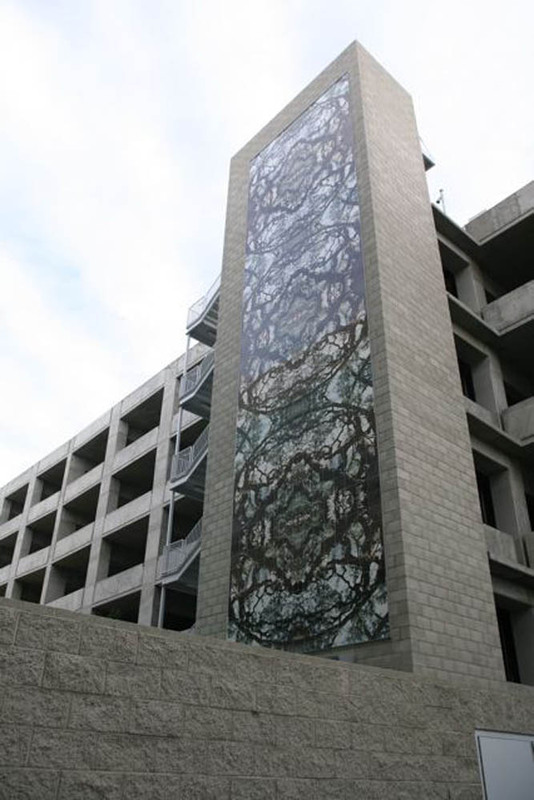 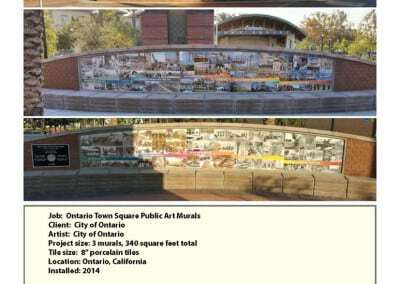 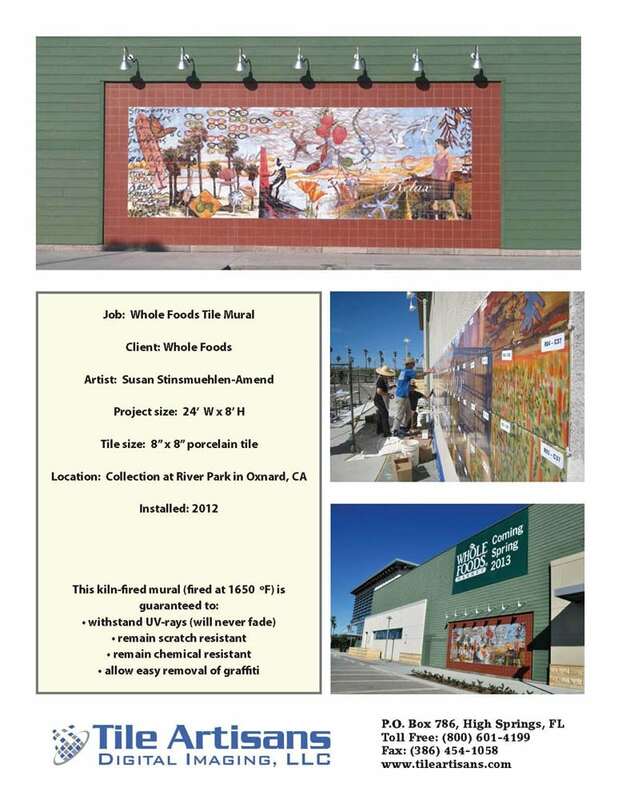 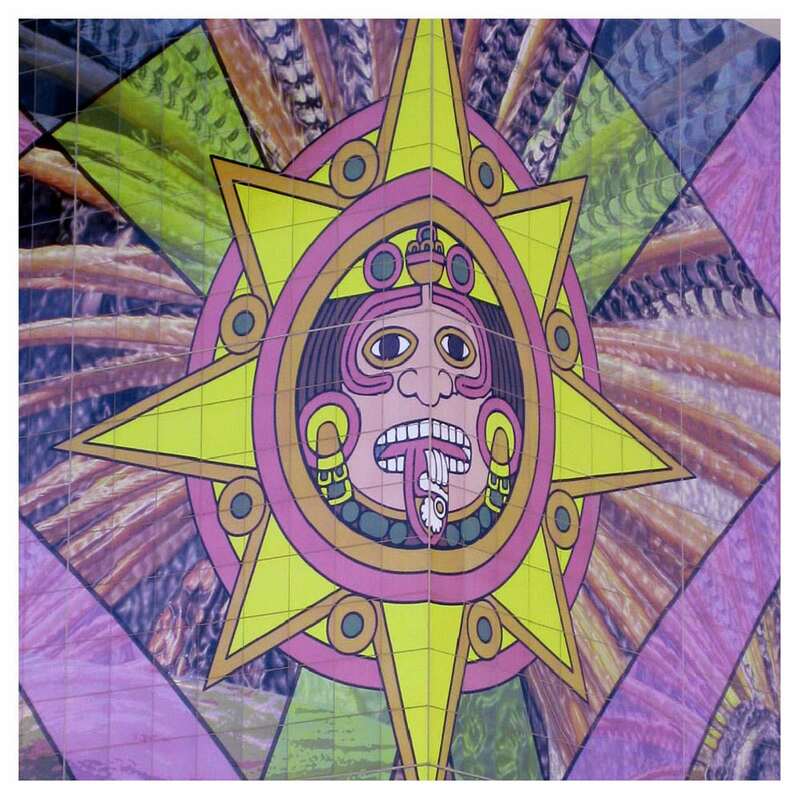 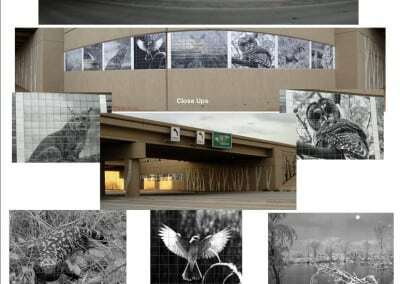 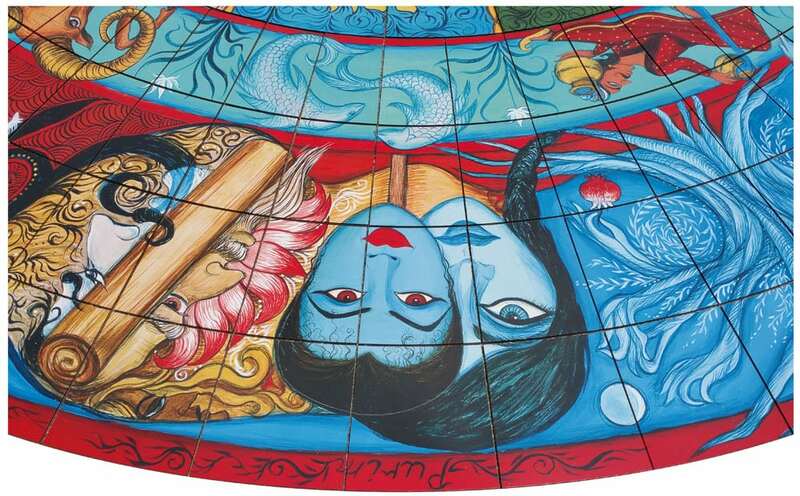 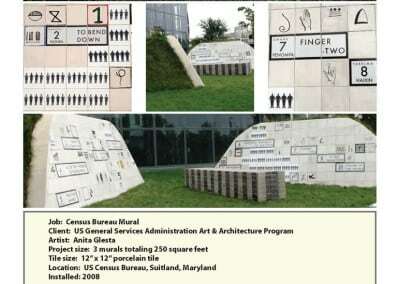 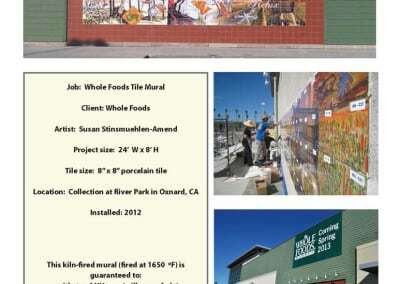 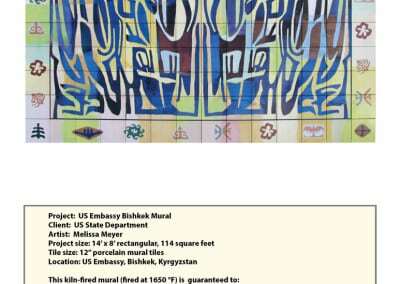 What are the Advantages of Installing Ceramic Tile Murals for Art in Public Places? 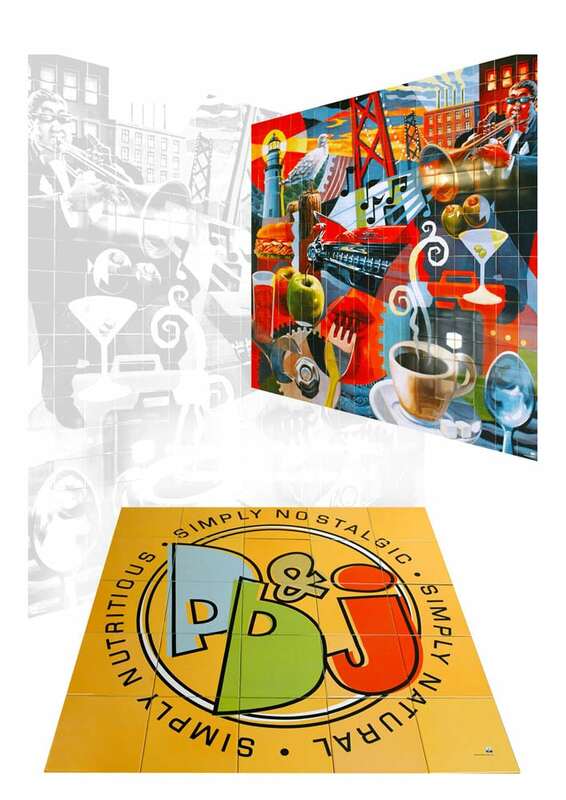 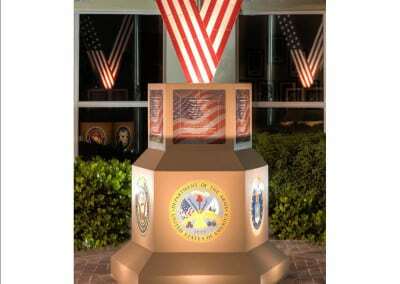 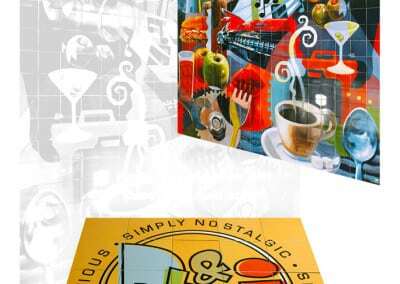 Transferring artwork, photographs or graphics onto permanent “tile canvas” create stunning public displays. There is no additional coating needed to ensure that the color, detail and clarity or your artwork will not fade over time. 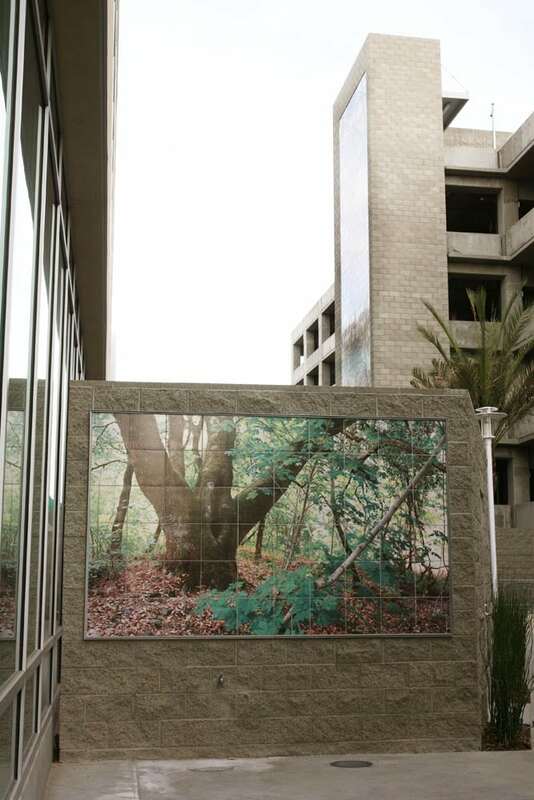 Decorated ceramic tile murals are the ideal medium to move delicate fine art outdoors for display. 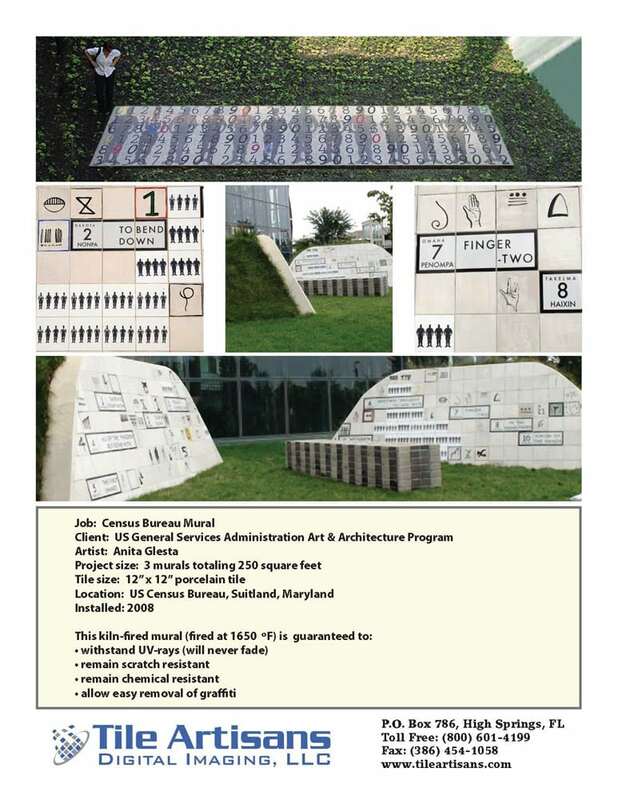 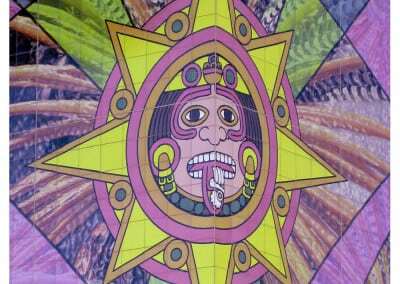 Spectacular art and creative designs have been displayed publicly in different mediums over the years. 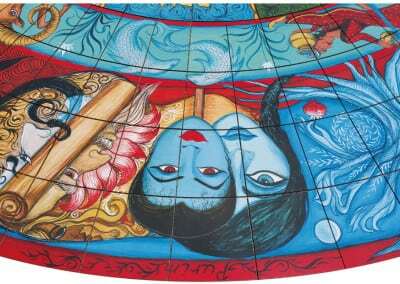 Tile Artisans has specialized in creating art in public places by reproducing beautiful works of art on durable, UV resistant tile. 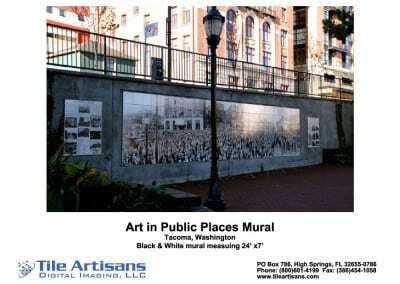 Walls, monuments, buildings, bridges, stadiums or any public space is ideal to showcase these spectacular works-of-art for everyone to enjoy. 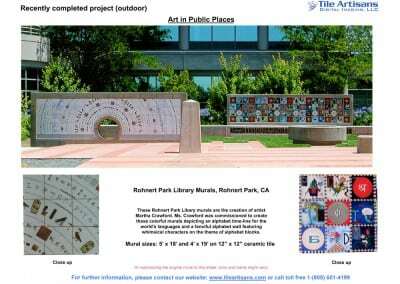 Many commissioned artists use our proprietary process for transferring images to tile when they are commissioned to do outdoor art projects. 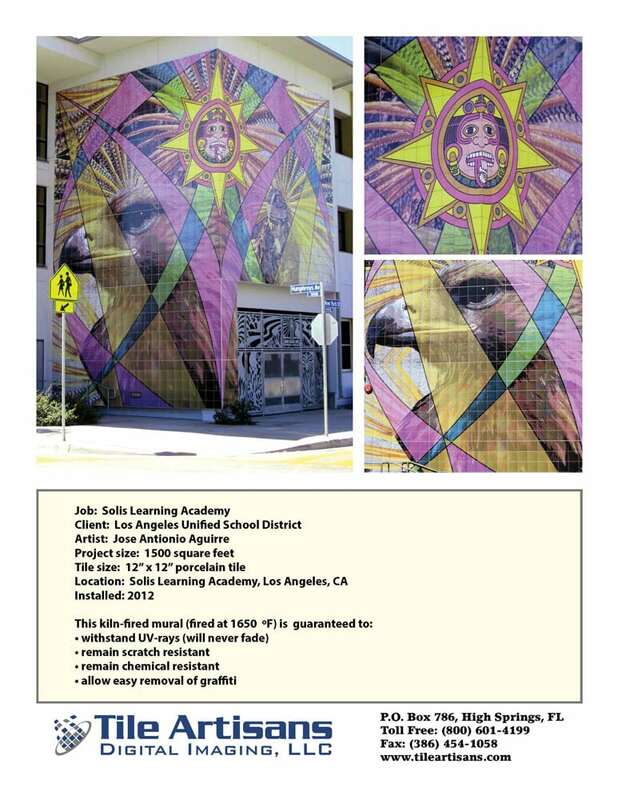 If you are in charge of a community art project and you would like to have a durable long lasting wall mural or work of art for an art project then we are the company to consider. Our design team can transfer your artwork or graphics onto a permanent “tile canvas” for public display. 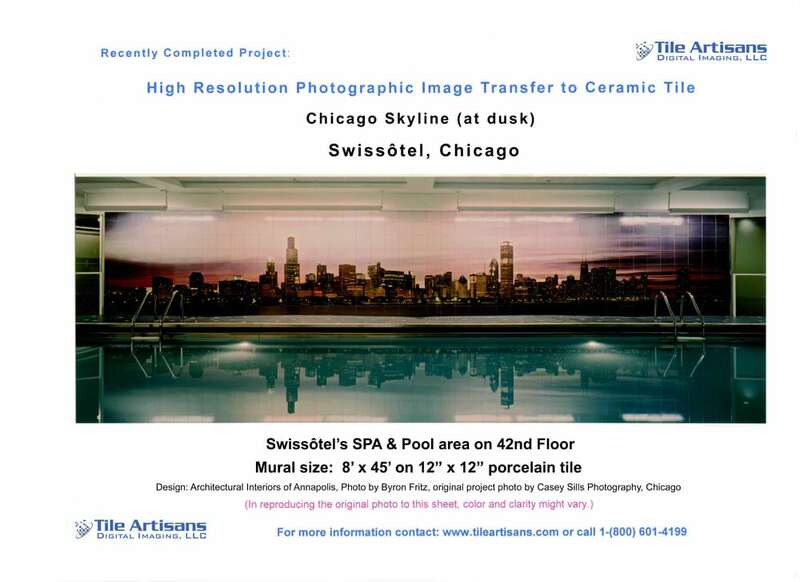 Leave the image manipulation, slicing and dicing to us. 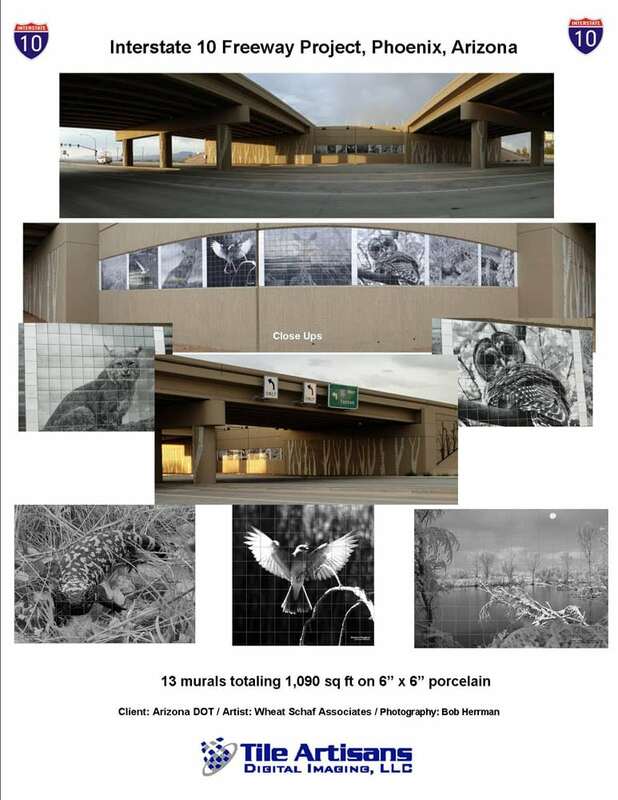 We have technology that allows us to transform and manipulate images small to incredibly large. 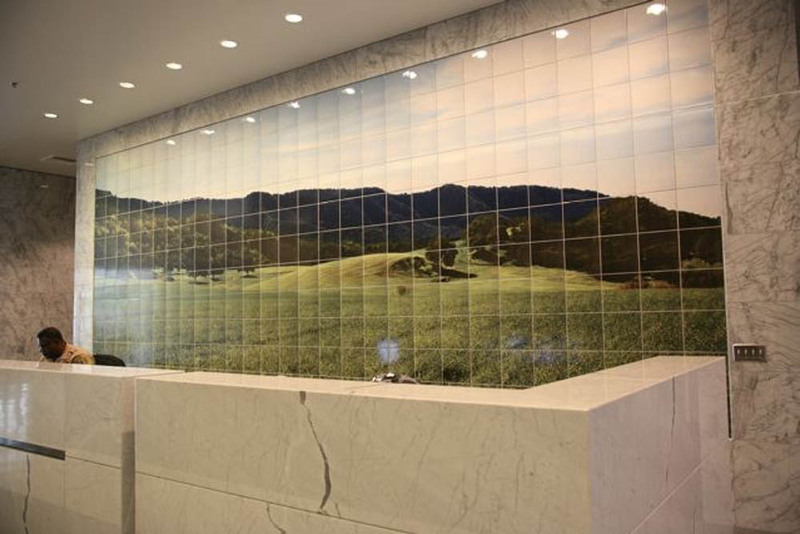 We get the job done, and done right.